Another day, another slew of acclaim for Brae, the Birregurra restaurant of chef and owner Dan Hunter. Both Hunter and Brae recently claimed the coveted top spots in their respective categories at the third annual Australia’s Top Restaurant Awards – honours made all the more memorable for their having been voted on by Australia’s chefs and restaurateurs. 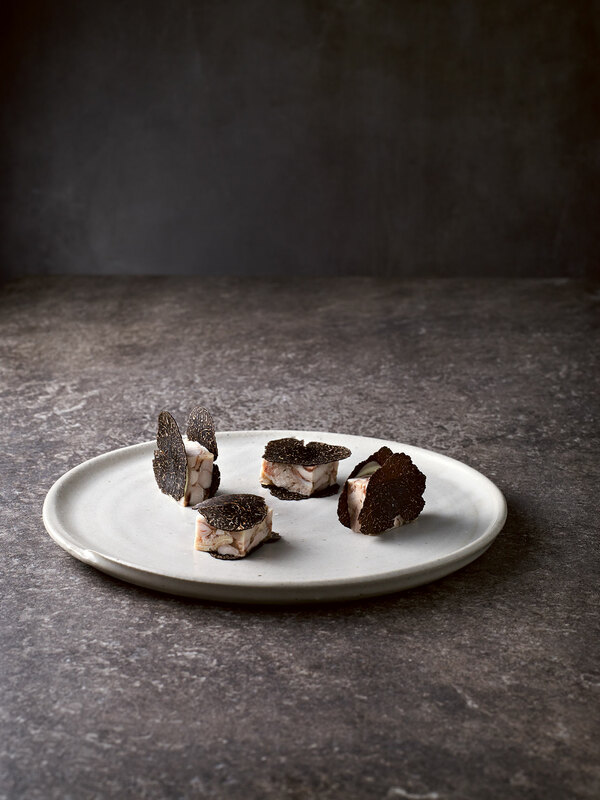 Recently lauded as Australia’s number two chef, according to the recent World’s 50 Best Restaurants list, Hunter has garnered international acclaim for his spectacular work with his restaurant and guesthouse in regional Victoria. Since it opened in December 2013, Brae has taken pride of place on Hunter’s 30 acre farm in the Otway hinterland, from which he harvests produce in a fashion that privileges, above all, a respect for seasonality, regenerative farming techniques and sustainability. It climbed to the top spot on this year’s list, having succeeded last year’s top ranking restaurant, Ben Shewry’s Attica in Melbourne. You can view the list in full here. Below, Hunter shares with GRAZIA the recipe for one of the dishes recently featured in his first career monograph: a chicken and truffle sandwich quite unlike any other sandwich you’ve seen before. A table for dinner for two at Brae is next available in December – best start planning that long weekend in the country for 2018. Preheat the oven to 100ºC (212ºF). Joint the wings and place them in a baking tray. Cover with fenugreek oil and confit in the preheated oven for 3 hours or until soft. Remove the wings from the oil and, while still warm, pick off all the meat. Pack 750g of the chicken meat into a lined terrine mould or similar. Dissolve the gelatine in the hot chicken stock and pour it over the chicken, ensuring it works its way into any gaps. Wrap the terrine with clingfilm (plastic wrap), weight it heavily and refrigerate overnight or until firm. Combine the egg yolks, mustard and vinegar and slowly whisk in the oil. Season with salt and lemon juice then fold in the chives. Carefully unmould the chicken terrine and cut into rectangular pieces. Place a dollop of mayonnaise on each piece of terrine, then build ‘sandwiches’ using the truffle slices as if they were bread, so you have mayonnaise-topped chicken between 2 slices of truffle. Season with salt and serve. For 4 people.